Premiered in 2010, the piece (short version) won the Next Generation Choreography Award at Toyota Choreography Award 2012. It was also shown at the Contemporary Dance Showcase: Japan + East Asia in New York in January 2015. This time the full version of it will be presented at TPAM. “Marmont” is the word made up from the words “earth” and “mole” in the Estonian language. Inspired by the five senses and habits of animals and bugs, this piece is choreographed by Kaori Seki to stimulate the senses of the audience, including the sense of smell by using an aroma. Began showing her own choreography in 2003. 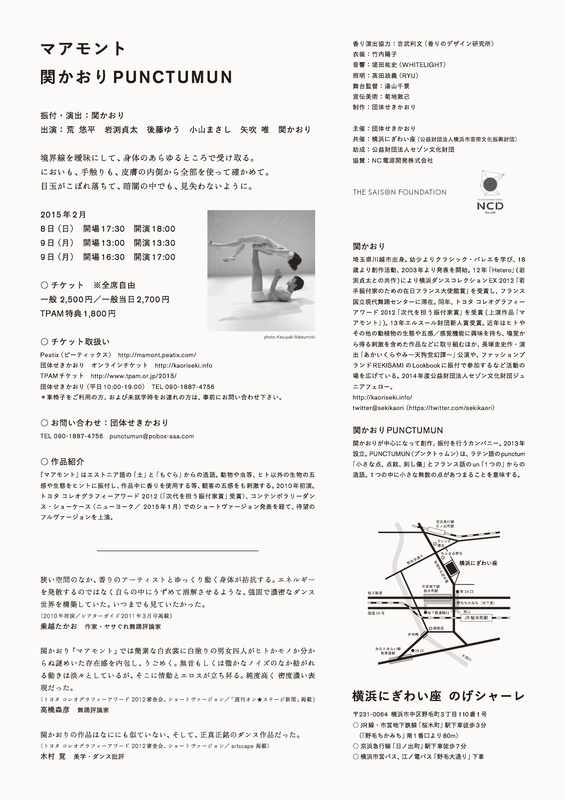 Together with Teita Iwabuchi she won the French Embassy Prize for Young Choreographer at the Yokohama Dance Collection EX2012, and went to France for residency at le Centre national de dance contemporaine – Angers(CNDC). Since then, she has been working on an international basis. 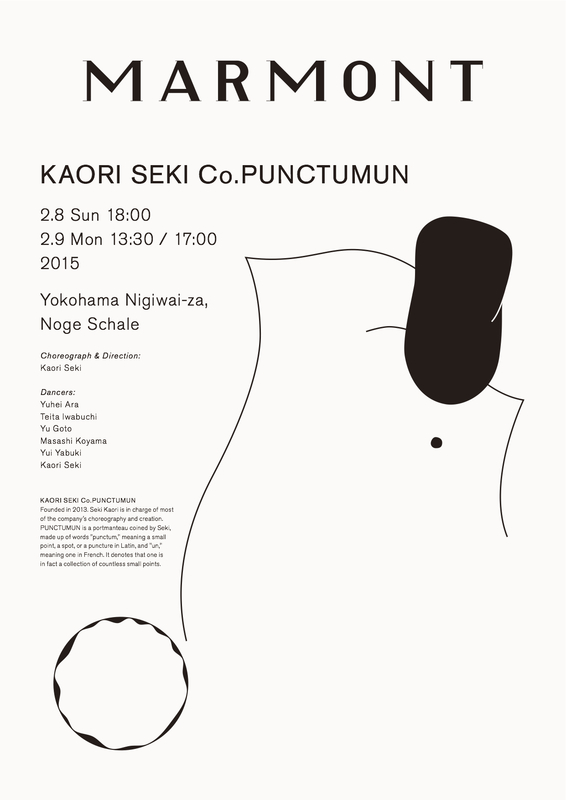 In 2013 she established Kaori Seki Co. PUNKTUMUN. Her choreography is constructed in sensitive and careful calculation with her unique vocabulary based on the sensations on the skin as well as the other organs of the body. Also active in theater and fashion in recent years. Founded in 2013. Seki Kaori is in charge of most of the company’s choreography and creation. PUNCTUMUN is a portmanteau coined by Seki, made up of words “punctum,” meaning a small point, a spot, or a puncture in Latin, and “un,” meaning one in French. It denotes that one is in fact a collection of countless small points.